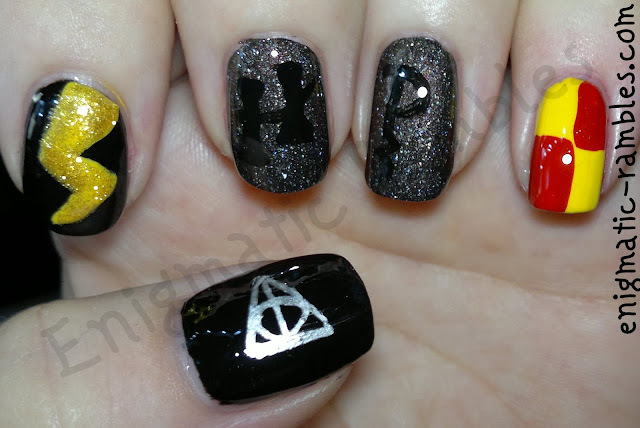 This it the last challenge for the Nerd Nail Challenge and if you have been following I have been having problems with doing some of the challenges because I haven't seen the shows or films the nails are based around. Today it is the turn of Harry Potter, I have actually watched all of the movies, although it isn't something which I particularly enjoyed. Anyhow on with the nails!